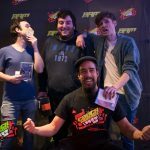 Fighting game players in Wollongoong heads up as The University of Wollongong’s Video Game Association (UOW VGA) and the Wollongong Fighting Game Community (Wollongong FGC) are proud to present Wollongong’s first major fighting game competition – EXPAND GONG. This is a two-day event that will be held over the weekend of the 2nd / 3rd of April at the University of Wollongong. 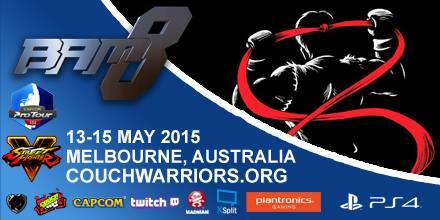 In you’re in the area and love fighting games be sure to check it out! Hi guys, Episode 3 of Stuff Yo’ Couch is up! 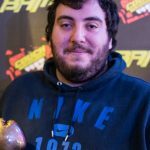 Filmed at our very successful Feb Ranbat/SFV launch tourney at the CQ hotel, in this episode we look at some behind-the-scenes action and what people think of SFV – and we also interview the new president of CouchWarriors: Daniel “Spoony” Finegan and the Treasurer Michael “Javi” Thai. Hope you guys enjoy the episode, and see you at the March ranbat tomorrow! 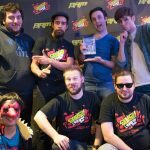 After a really successful Street Fighter V launch tournament at the CQ with over 300 attendees, the CouchWarriors ranbats are back in March! We have traditional fighters and Melee: USF4, GGXRD, DOA5LR, MKX, Smash Melee and Project M on Saturday the 19th of March and Smash 4 and Rivals of Aether on the 26rd of March, and we’ll be back at the mason’s hall at Brunswick. For full details check out the official Facebook event pages for the March 19 (Traditional Fighters+Melee) and March 26 (Smash 4+ Rivals of Aether) events.